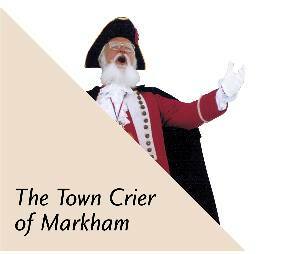 This land was granted by the crown to Nathan Terry on December 8th, 1806. The land was soon sold to Isaiah Booth for a price of ₤100. Booth then sold the same land to Philip Lichte for ₤150 on September 2nd, 1808. Georg Duncan of the Markham Heritage Department has looked at the assessment records and they have a date of 1878 for this row, which is in keeping with the architecture of the building and its details, such as the segmentally-arched windows and late Victorian dormers on the mansard roof. 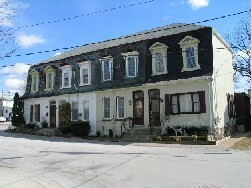 This is a set of row housing built circa 1878. This is architecture typical of housing for factory workers. Employees who worked in foundries, factories and mills would occupy these types of housing. Markham was an industrial hotbed in the late nineteenth century (relatively speaking) so housing such as this was reasonably common in early Markham. These houses are believed to have been built for workers at factories which was located on Robinson Street. This was likely Maple Leaf Woolen Mills. The mills were built in 1886 on the west end of Robinson Street. It was a major employer in the community and shipped its goods throughout the country and to Europe. The factory burnt down on May 19, 1917 after being struck by lightning. Arthur Wilson, its owner, only had insurance to cover $90,000 of the $150,000 in damages and the mill was never rebuilt.